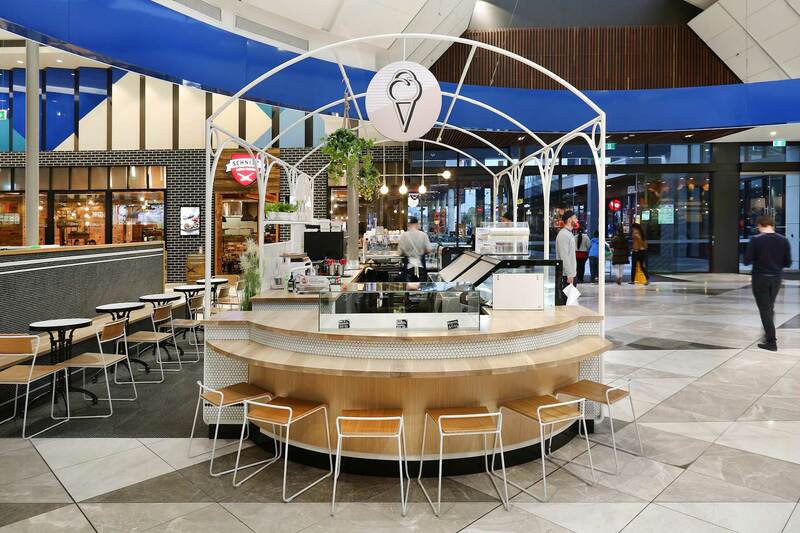 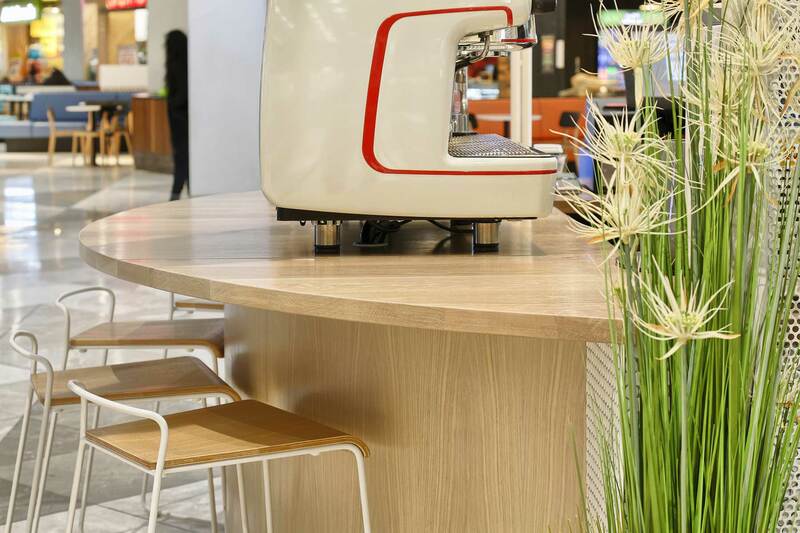 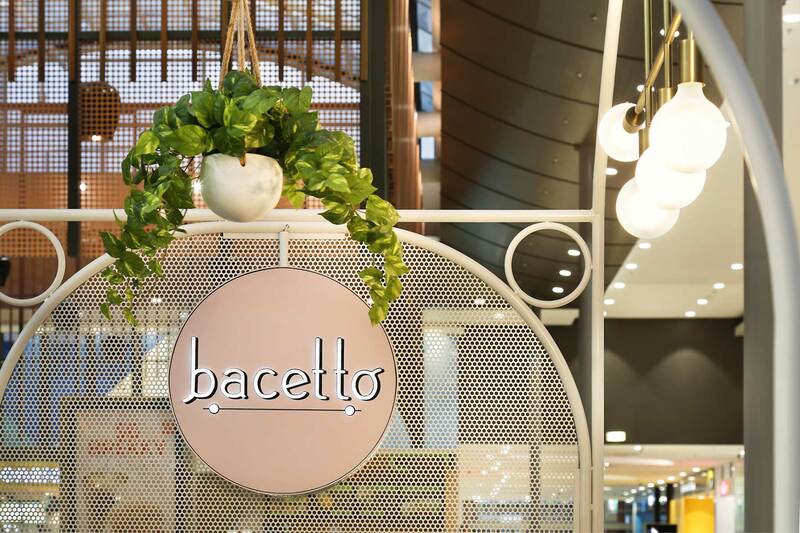 BACETTO GELATO - WERRIBEE | Studio Y. 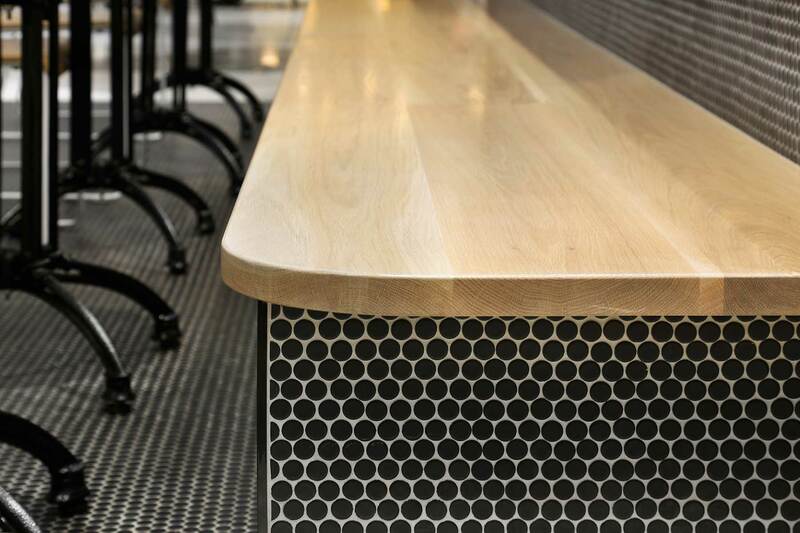 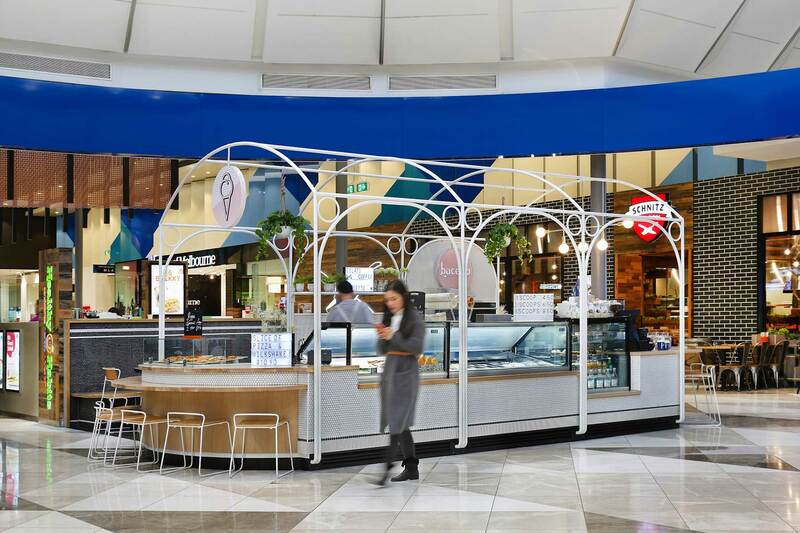 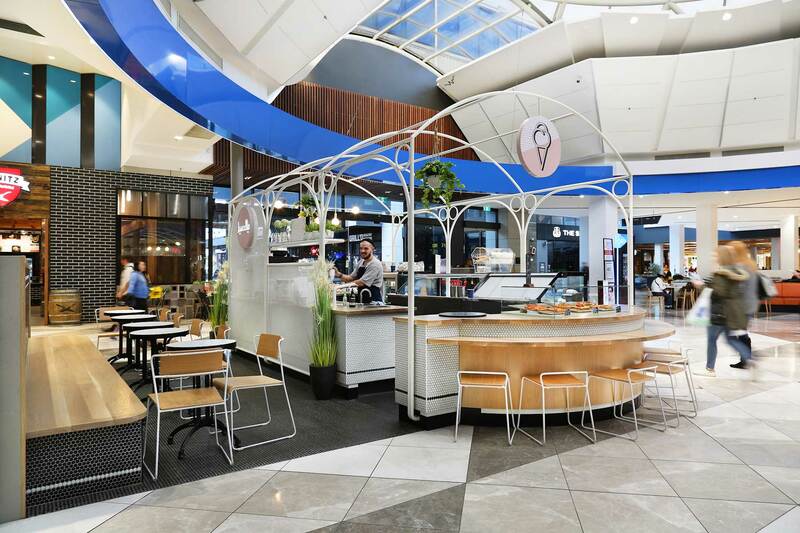 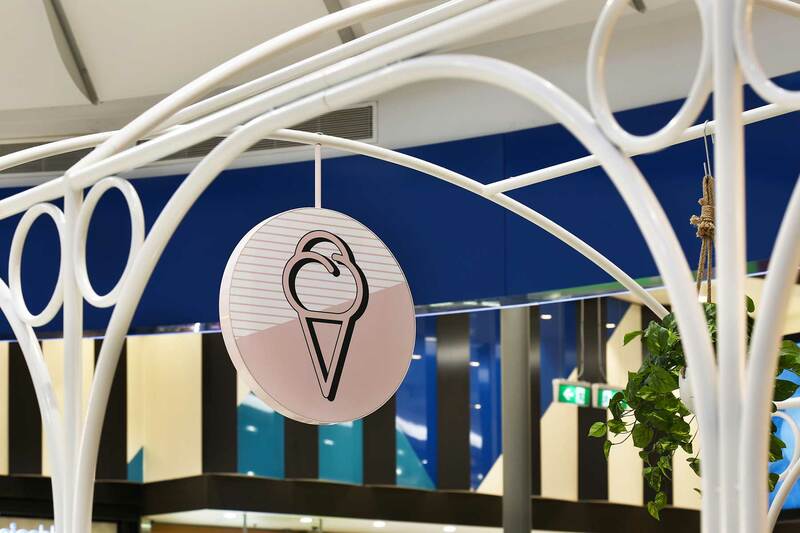 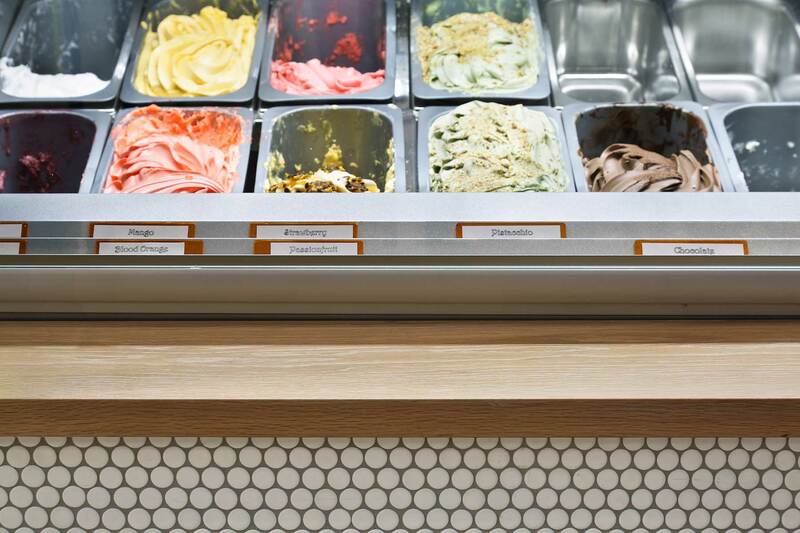 Inspired by a traditional ice cream carts’ lightweight frame and colour palette, the form of Bacetto Gelateria highlights the kiosk’s intricate details. 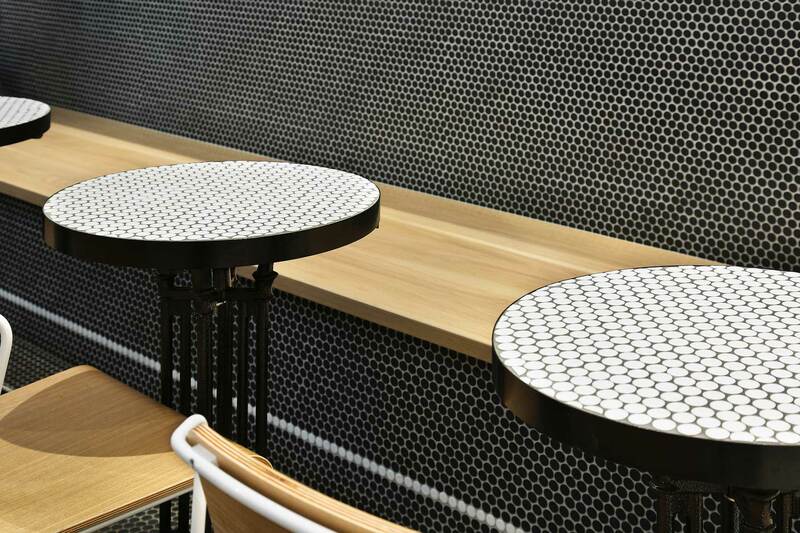 Bacetto’s mesh materials and hues are derived from the classic waffle cone and lay the backdrop for the array of colourful dolce on offer.